Canada’s top astronaut has been recruited by Research in Motion co-founder Mike Lazaridis to lead a team pursuing breakthroughs in quantum physics, according to the Canadian Space Agency (CSA). Steve MacLean will be departing as president of the CSA at the end of the month, the agency announced late yesterday. The two-time space traveler has been heading up the agency since Sept. 1, 2008 and an astronaut with the agency since 1983. MacLean won’t be doing interviews in his last days with the CSA, so more details on his new collaboration with Lazaridis remain a mystery. 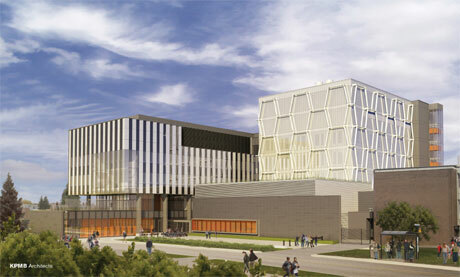 Will MacLean’s new workplace be the Institute for Quantum Physics in Waterloo, Ont.? Answers may come Feb. 1 when MacLean is officially departed from CSA and working in his new role. But the creator of BlackBerry’s long-term fascination with quantum physics research is no secret. As detailed in this Fast Company article, Lazaridis has invested his own wealth into creating Waterloo, Ont.’s Perimeter Institute, dedicted to theoretical physics research, as well as the University of Waterloo’s Institute for Quantum Computing and its brand new laboratory building, the Quantum-Nano Centre. What’s the goal of all this? To win the race to develop the quantum computer, a system that wouldn’t rely on binary transistors for processing, but the mind-bending properties of quantum-state matter. A breakthrough in the field could result in computers that are exponentially faster than the CPUs we rely on today. MacLean may be well suited to lead a team researching the development of a quantum computer. He was previously a visiting scholar at Stanford University, working as a laser physicist on laser-induced fluorescence of particles and crystals, and multi-photo laser spectroscopy. His PhD in physics is from York University, and he’s published 25 scientific and technical publications.